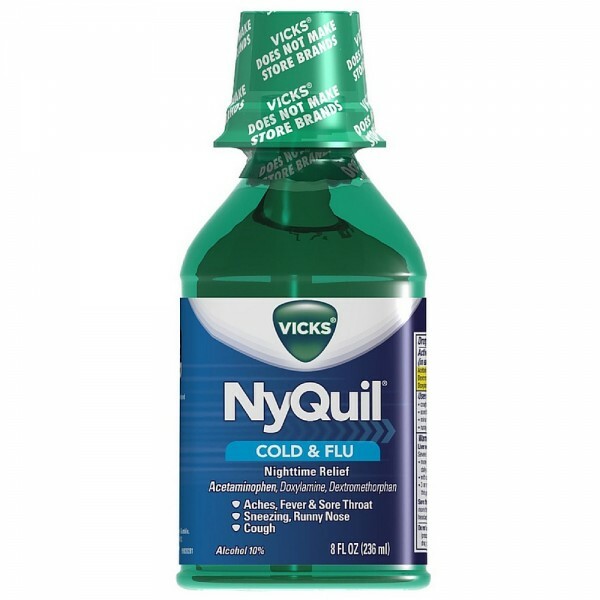 Turn to NyQuil Cold Flu Relief Liquid to relieve your cough due to minor throat and bronchial irritation, sore throat, headache, minor aches and pains, fever, runny nose, and sneezing, so you can get the sleep you need. Temporarily relieves common cold and flu symptoms including cough due to minor throat and bronchial irritation, sore throat, headache, minor aches and pains, fever, runny nose and sneezing. 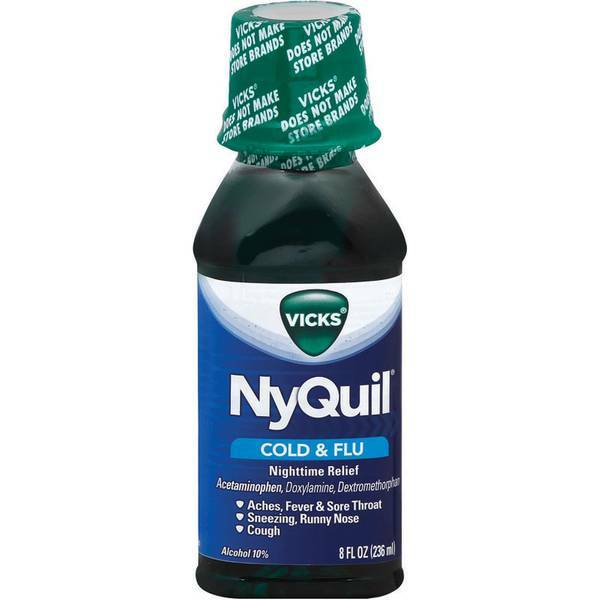 NyQuil Liquid is available in three flavors: original, cherry and vanilla cherry swirl.